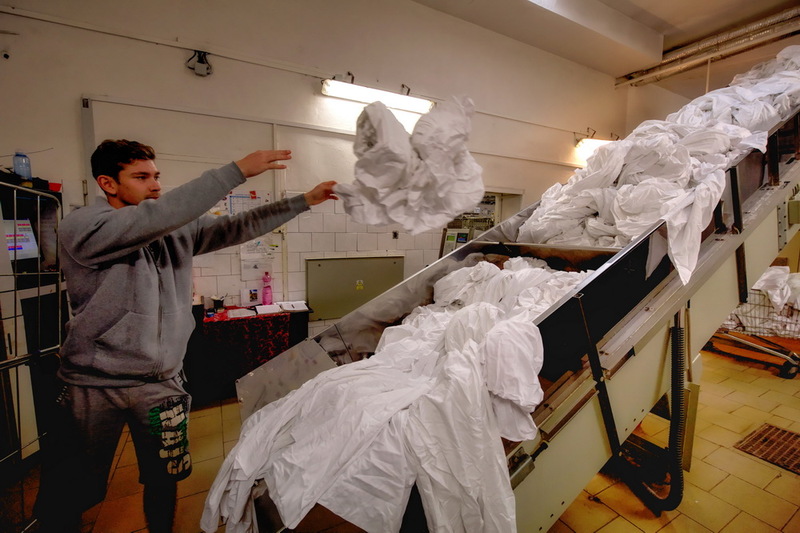 Golgot Ltd. is the company with more than twenty years experience in industrial washing and dry-cleaning of various fabrics and textiles, which offers its services mainly to hotels, hospitals, restaurants and other clients with larger volumes of laundry. 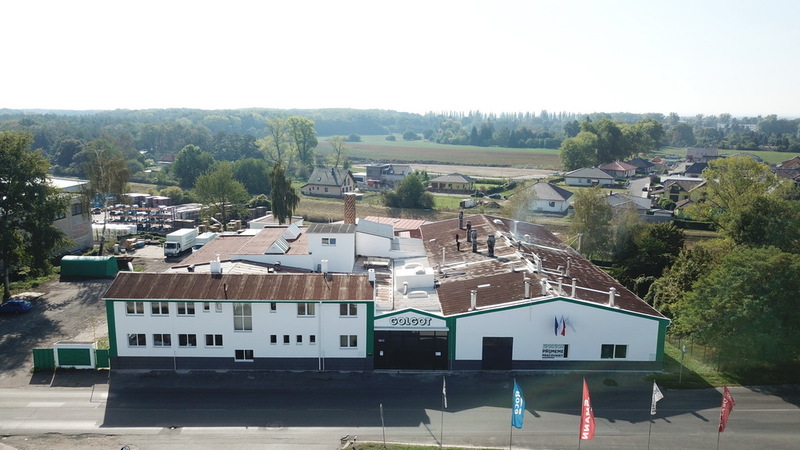 The Company is a holder of certificates issued by the industrial laundry association in Czech Republic. The operation is equipped with the modern technology which guareantees the best washing result with no harm to the nature. The company offers a complex textile leasing. The extent of this service includes the possibility of leasing textiles such as bedding and bathroom sets. The price of this service depends mainly on the quantity and quality of textiles. The basic washing unit is a high-density continual machine Kannagieser, iron unit Kannagieser a Jensen. The laundry capacity is approx. 20 t per day. The washing process uses a modern continual washing machine, the Kannagieser which can be amended to a drum washing machine for special orders. The whole washing process is directed by computers connected to the evaluation detector in each operational cycle, eliminating human error. The programs are set up with consideration to the effect of the washing cycle on specific textiles. Wash water is softened to the hardness of 0-2 deg. on the German scale, ensuring that there is no salt settlement in the textiles. The quality of washing is regularly controlled by our specialists. Additionally, regular biological and bacteriological tests of the operational employees are ensured. Results of regular inspections and testing are consistently marked as “excellent quality”. Chemical dry includes clothes for personal use, which cannot be washed in a regular washing machine, as well as all kinds of textiles, e.g. the employees’ work uniforms. Ironing mostly takes place in a modern ironing and folding machine Kannagiesser. It is equipped with automatic textile insertion and a special automatic folding unit. Separate special ironing machine is used for ironing of towel roles (35 m length). 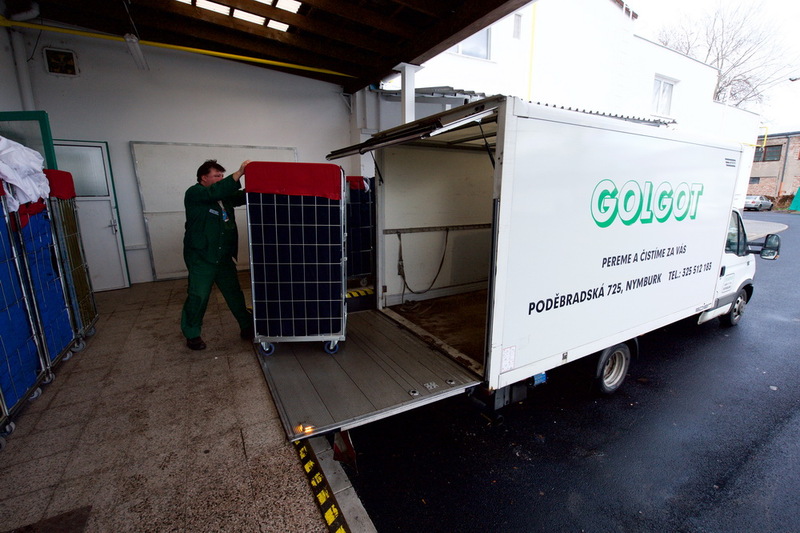 Golgot disposes with seven trucks adjusted for easy manipulation and other request on delivery. For the locations with more difficult handling (e.g. centre of Prague) smaller trucks are used to deliver textiles. The fleet is mainly consisted of modern trucks Iveco. Delivery is appointed with each client individually. The price for basic delivery is included in the price of washing. The delivery is done in transport container cages with protective textile cover. GOLGOT spol. s r. o.